Matthew Whiteside is a composer based in Glasgow nominated as ‘One to Watch’ in the Herald’s Culture Awards 2016. He writes music for concert, film and collaborative installations while often-using live electronics. Whiteside has been commissioned by Scottish Opera to write Little Black Lies, a new short opera with words by Helene Grøn, for 2018 and he is currently working with filmmaker/chorographer Marisa Zanotti developing a new installation piece with Magnetic North. He has received international performances including Dublin’s National Concert Hall, Glasgow City Halls, Salem Artworks in New York and the Belfast International Festival at Queen’s and has been commissioned by Cottiers Chamber Project and Lorimer Productions for Cappella Nova and co-commissioned by sound festival and R-Space gallery to collaborate with Dominika Mayovich to create an interactive sound/art installation. Whiteside Solo for Viola D’amore and Live Electronics, recorded by Emma Lloyd. was described as having the overall effect of ‘one of meditation – a Japanese stone garden whose raked ripples have been brought into sound’ by Musicweb International and features on his debut album Dichroic Light released in 2015 and supported by Creative Scotland. The album was the subject of two episodes of exploration on CyBC, Cyprus, as well as broadcasts on BBC 3, BBC 6 Music, Lyric FM, Ireland, Radio Horizon, South Africa, and WFMT, USA among others. He composed the music for The End of the Game, Michael Palin’s Quest for Artemisia, broadcast on BBC 4 during Christmas 2015, and has scored two feature films (Anna Unbound and The Loudest Sound). 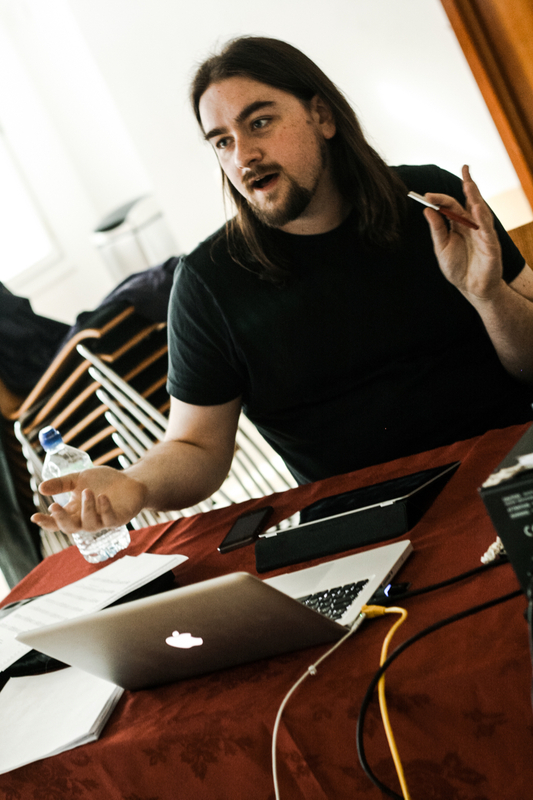 Matthew also programmes and produces The Night With… putting interesting music into informal spaces.